Plaw Hatch Farm is a 200 acre biodynamic farm in Sussex, England. The shepherdess of the Plaw Hatch flock of sheep is Gala, [@FarmerGala on Instagram] and I was delighted when she got in touch recently to ask if the woolly muckers would like to try some of her organic yarn. 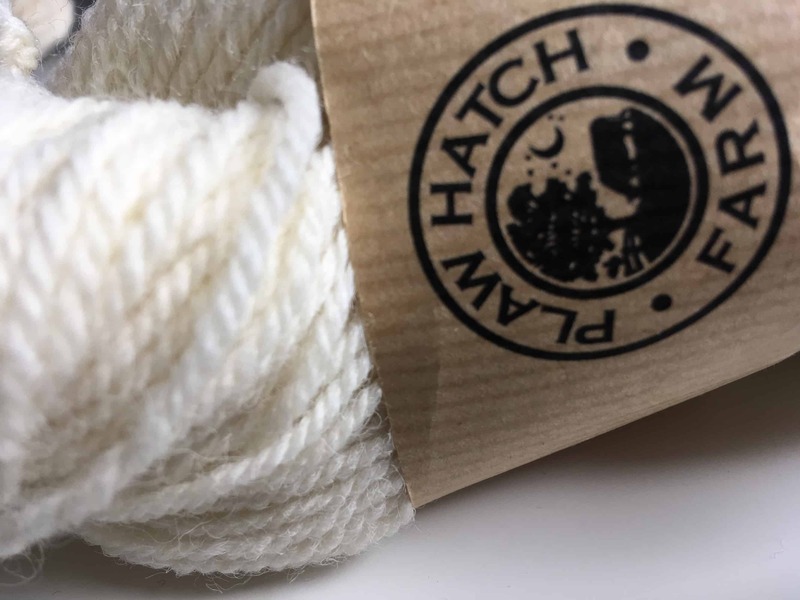 The Plaw Hatch flock consists of Lleyn and Romney and they also have some Jacob and the yarn that they have had spun so far has been Demeter certified and has been spun organically at the Natural Fibre company. 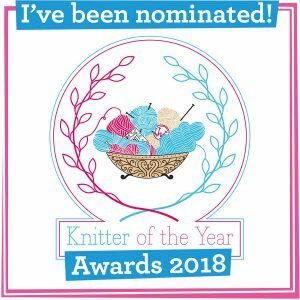 Later in the year there will be more Romney, Jacob, Lleyn and X yarns, but Gala was very kind in sending some of their pure, organic Lleyn for myself and two woolly mucker reviewers to try out. I gave both Louise (louisepants) and Katie (MissGoggins) the chance to know what the breed yarn was or go in for a blind review and both of them plumped for the mystery… so this is the first time they are finding out what the yarn is! First up, here is what our lovely reviewers thought and thanks so much to them. Katie: In the ball the yarn is mega bouncy and soft when rubbing it on my face, with hardly any prickle. There is a fuzziness to the yarn and when applying tension to the end of the yarn it springs back, indicating a lot of memory. Louise: Light and airy, 3ply yarn with a high twist. Good hand, soft but with a bit of a bite! I’d say it’s a lot like Blackers classic DK yarn. It has a similar halo and ply structure to that yarn. I think this would work well for jumpers, hats, scarves, cables and haps. 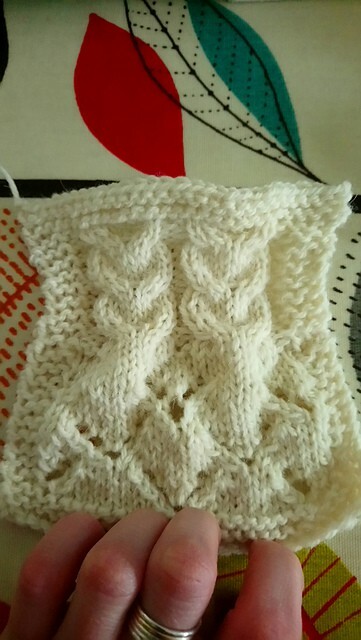 Katie: In my first swatch I knitted a section of lace and cables, bordered by garter stitch. Prior to washing the swatch felt soft, again very little in the way of prickle when rubbing on my face. My initial thoughts on use of this wool would be that is could be used for most items, including items to be worn next to the skin. Also thought this wool could be used for baby items due to its softness. I don’t think this wool would be suitable for items where drape was required. The swatch was quite stiff and curled up and had little in the way of drape. Swatch was approximately 5” wide and 5 1/4” in length prior to washing. Katie: Swatch was washed by hand in lukewarm water with Mitchells of Bradford Woolly Wash and was allowed to soak for 10 minutes. After washing the swatch remained the same size, further indicating the memory of the wool and it had relaxed and blocked well just by lying on flat surface with no pinning. Washing didn’t appear to soften the fabric, though thought this was pretty soft to begin with. The swatch was worn all day at my shoulder underneath my bra strap. The day involved a walk int’ countryside so I wore my rucksack which was pressing down on the swatch at my shoulder. Regardless of this the swatch went unnoticed. Louise: I soaked the swatch in tepid water, with Twig and Horn wool soap, for 30 minutes. The swatch did not grow too much. I did not aggressively block it either. I wore the swatch under my bra trap for an entire day and the swatch is very soft, no skin prickle factor. I actually forgot it was there! There is no evidence of pilling or felting. Before washing the swatch was 16 x 13 cm and now it is 15 x 13 cm. Katie: Second wash and blocking method was the same as the fist. Again, the swatch remained the same size. During the second wear, the swatch was worn in my sleeve next to my forearm all day. The swatch went unnoticed save for having to adjust it so it didn’t fall out of my sleeve. Louise: Swatch shrunk a little. I wore it in the same place as before and again very soft. Distressing the swatch results in very little pilling, perhaps due to the looser fibres on the halo of the yarn. Katie: For the third test the swatch was washed on a wool wash in the washing machine with wool socks and jumper using Mitchells of Bradford Woolly Wash. The swatch was dried on a flat surface and remained the same size. Worn in the waste band of my trousers and again it went unnoticed. After the three tests very little signs of wear were noticed suggesting this is a robust yarn. I gave the swatch a distressing by rubbing the square together vigorously for about 3 minutes. Some bobbles were noticed after this, but these are the type of bobbles which are easily pulled off and the swatch looked pristine afterwards. 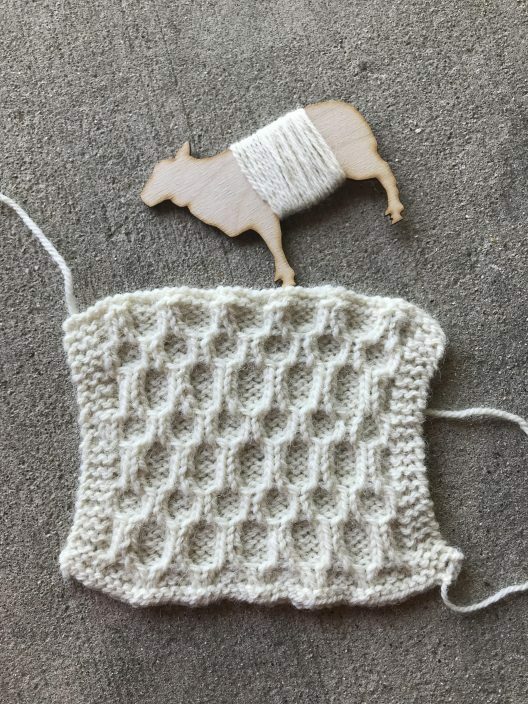 Katie’s swatch after three wash, block and wear tests. Louise: The wool has tested very well. It seems long lasting and suitable for longwearing items, such as cabled jumpers, gloves/mitts. It might also be good for colourwork yoke jumpers. 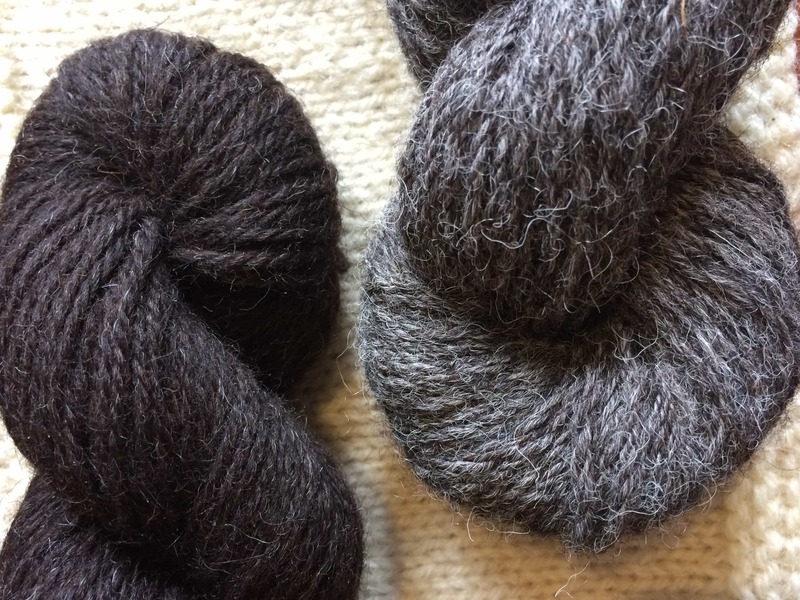 Katie: I think this is a great versatile everyday wool which could be used for a plethora of items due to its next to skin softness and robustness. It would be great for cables, lace, I presume textured, plain stockinette and garter stitch patterns. I also teamed it up with some Daughter of a Shepherd Brume to test it for use in colourwork patterns using a stranded pattern from the 150 Scandinavian Knitting Designs book by Mary Jane Mucklestone. The yarn worked well in this too. I wouldn’t use this yarn if the item I was knitting required drape, due to its magnificent memory, but it would be great for items which you didn’t want to stretch out, like hats, mittens, fitted garments, etc. 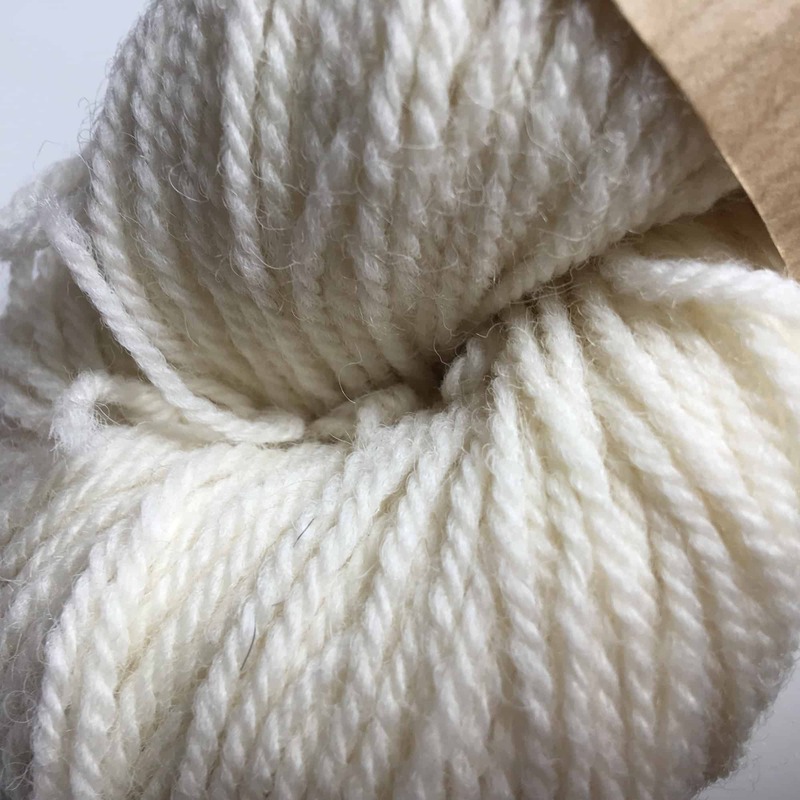 I would use this yarn again, but must admit being a bit of a scruff I don’t often use cream/white yarn, so would be good to see it in darker natural shades (if that’s an option) or dyed shades. Otherwise would team it up with some darker natural or dyed shades for colourwork items. The only negative of this yarn is lack of sheepy sent. 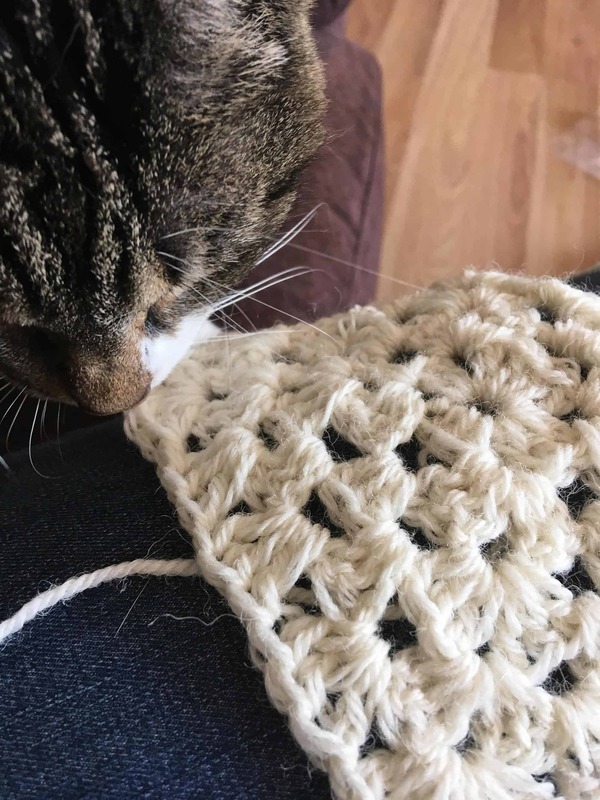 I do love me some yarn huffing! 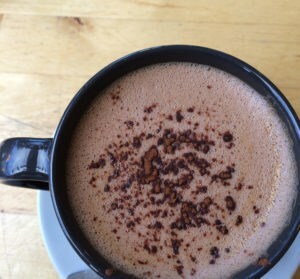 I love the similarities that Katie drew to Ram Jam, which is a very similar handle and also Louise saying it reminded her of Blacker Classic, which does actually have (or did have) Lleyn in the blend. I think that it is really important for reviewers (particularly those who plump for the mystery) to say which other yarns the review yarn feels like. It gives a ready reckoner of feel and texture to those of us reading online. Thanks for your feedback Katie and Louise, and for your exploration of this Lleyn yarn from Plaw Hatch. What I was struck by, when the yarn came out of the mail packaging, was that it was bouncy and creamy. I’ve not knit with pure Lleyn before, but I have seen the fleeces and knit with blends. It was lovely to see a single flock Lleyn, and organically processed too. 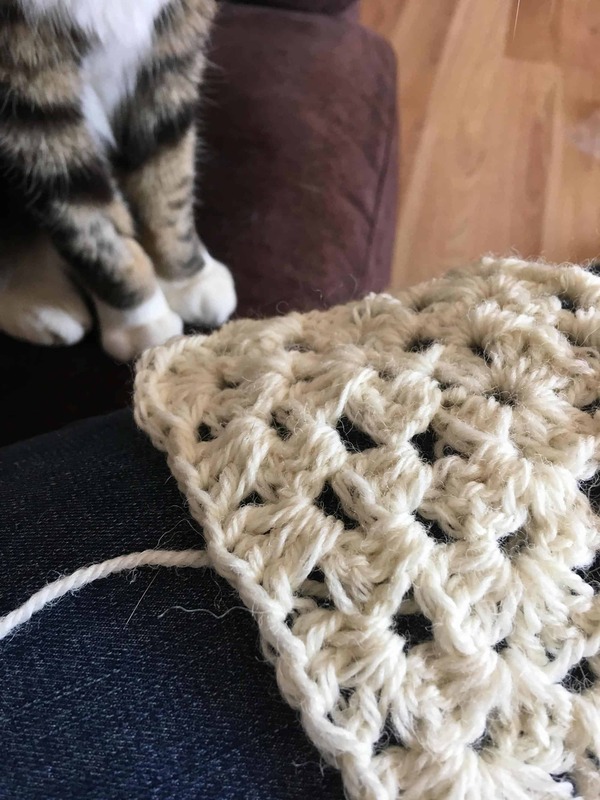 My initial thoughts turned to crochet – as I really wanted to see the plump yarn in granny square stitches. This was creamy through my hands, with just a bit of tooth, which I loved. It made lovely puffy granny stitches. I did skewer the yarn once or twice, which I personally find can happen with worsted spun yarns. It did not detract from my enjoyment of working the yarn and due to the denseness of the ply the parts I did skewer plumped right up, and did not show as split. 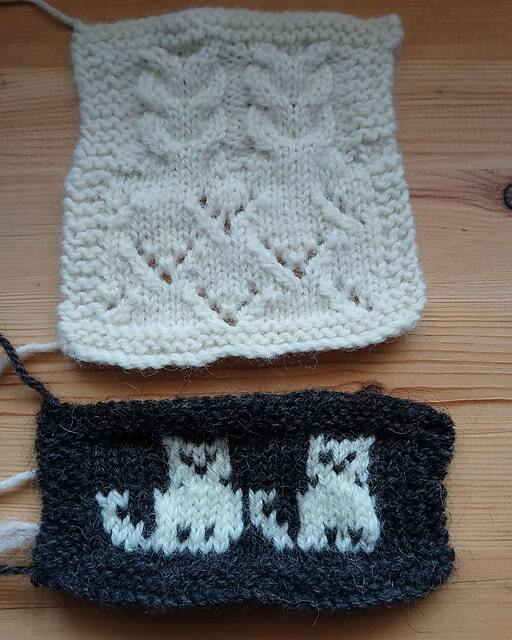 This is going out whilst I am on holiday, and my swatch is at home blocking, but I really agree about the memory. It could be blocked quite aggressively and I reckon it is a great workhorse yarn for so many items. I look forward to experimenting more with this yarn and, as both of our reviewers mention, it is indeed a great neutral cream for colourwork – the body of a Port Charlotte would be great in this, I think! 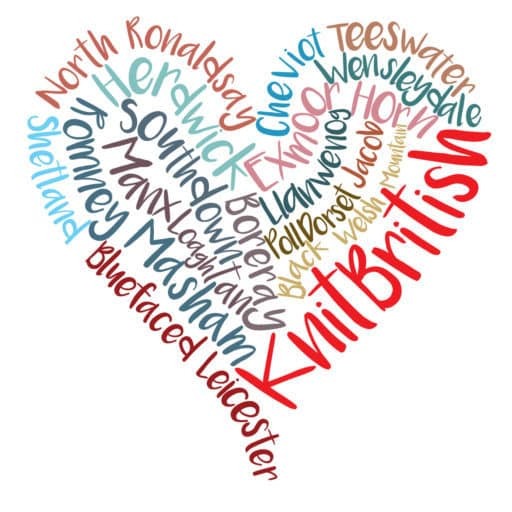 I really look forward to more organic yarns from Plaw Hatch and Gala has promised to keep us posted when those new yarns are in the flock shop. Do spend some time on the Plaw Hatch blog, learning about the farm and their work there – it is fascinating. Thanks so much to Gala for letting us try out this wonderful single flock, organic Lleyn! And who knows, perhaps we will add Lleyn to our future wool exploration! p.s. isn’t it good to know that this yarn is JeremyJean approved? Next PostNature’s Shades-along is coming back!